From diehard ’90s grunge fans and adventure junkies to foodies and night owls, the Pacific Northwest’s indie darling has something for all its visitors. If you’re not sure where to begin, check out our list of the 20 best things to do in Seattle, dine at one of the city's best restaurants or dance yourself clean in one of many Seattle nightlife hotspots. 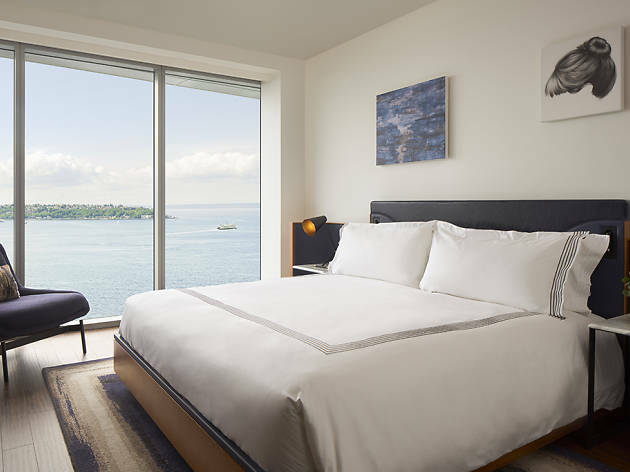 Whichever you choose, a visit to this attraction-packed city merits at least a few-day stay, so when you’re looking for somewhere to lay your head down on a soft, fluffy pillow, check out our recommendations for the best hotels in the city, from Downtown to Belltown and beyond. 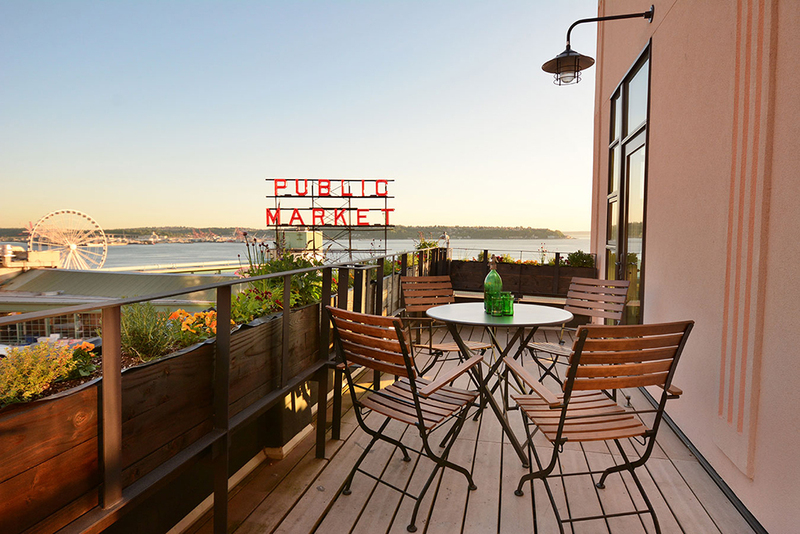 The only Seattle hotel located right smack dab in the iconic Pike Place Market, this comfy 76-room inn guarantees access to the market’s bustling atmosphere and delicious food. From fresh seafood selections to being the first in line at the original Starbucks, you really can't beat this one. Bright, elegant Northwest-style rooms afford views of the Seattle waterfront (and the Great Wheel) and the spacious rooftop deck is the perfect place to relax with an evening glass of local wine. 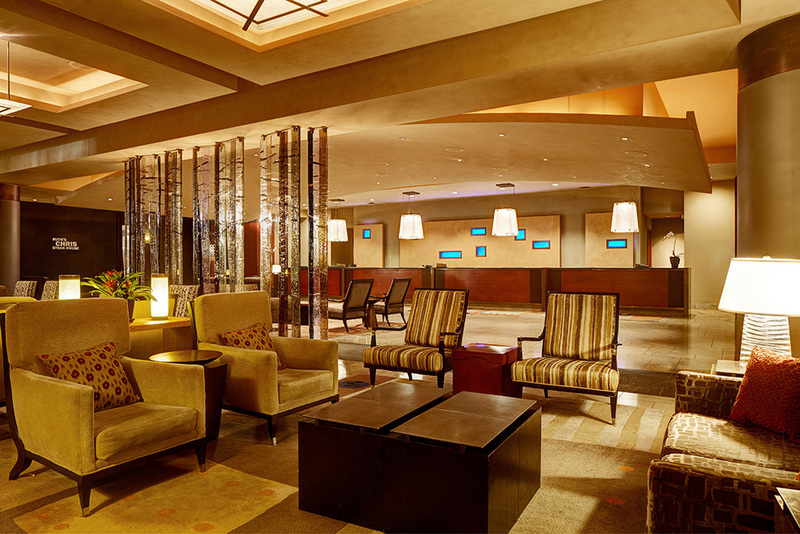 The hotel’s varied packages offer a variety of cultural experiences, from brewery tastings and tours to special access to the Chihuly Garden. 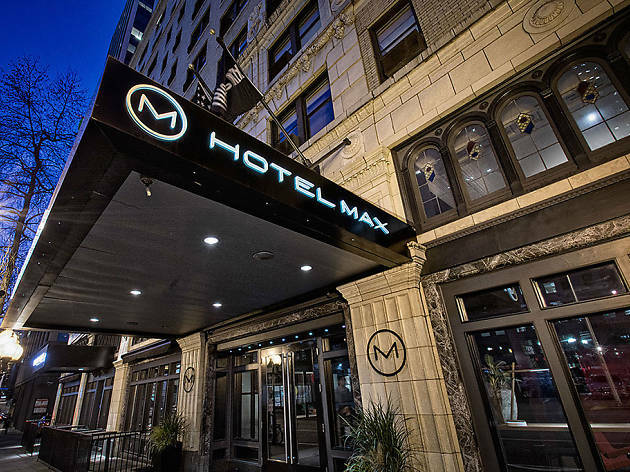 This luxury hotel boasts an ideal downtown location just steps from Seattle attractions such as the Art Museum, Pike Place Market and the waterfront. The hotel’s 147 rooms range from single-bed rooms to a luxurious 10th-floor suite that sleeps four. Top-tier amenities include a 24-hour fitness center, a lovely rooftop terrace and a gorgeous infinity pool. 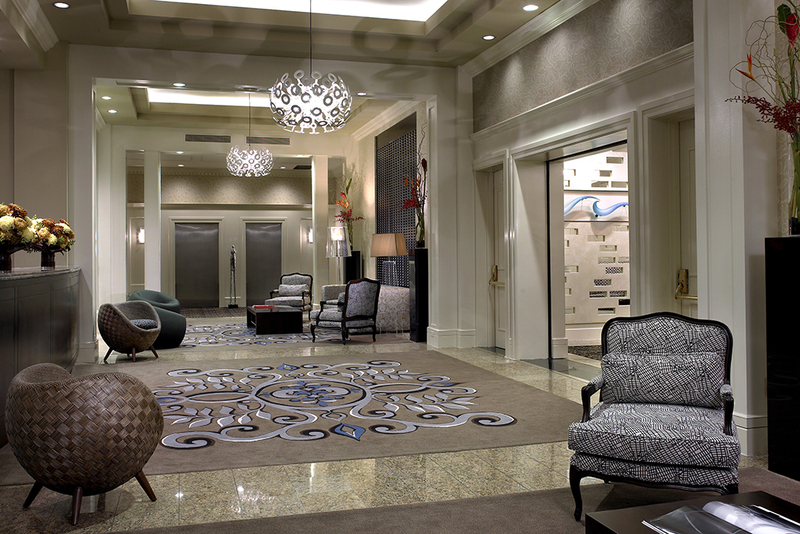 A visit to the spa, for treatments like a deep-tissue massage or an anti-aging facial, is a recommended indulgence. 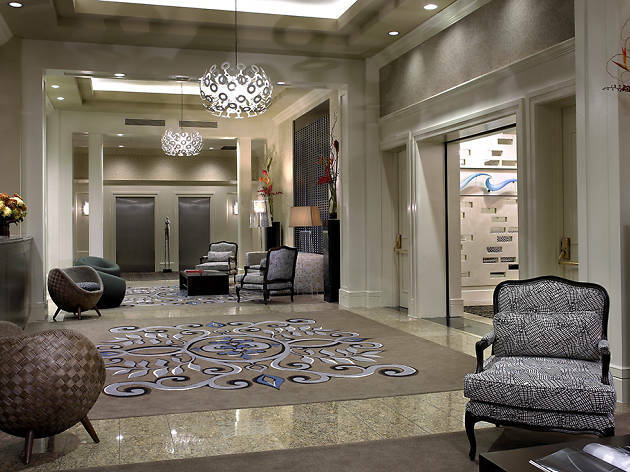 This downtown hotel sets itself apart with warm, welcoming hospitality, offering thoughtful touches such as bottles of wine and cheese platters at check-in for guests celebrating special occasions. 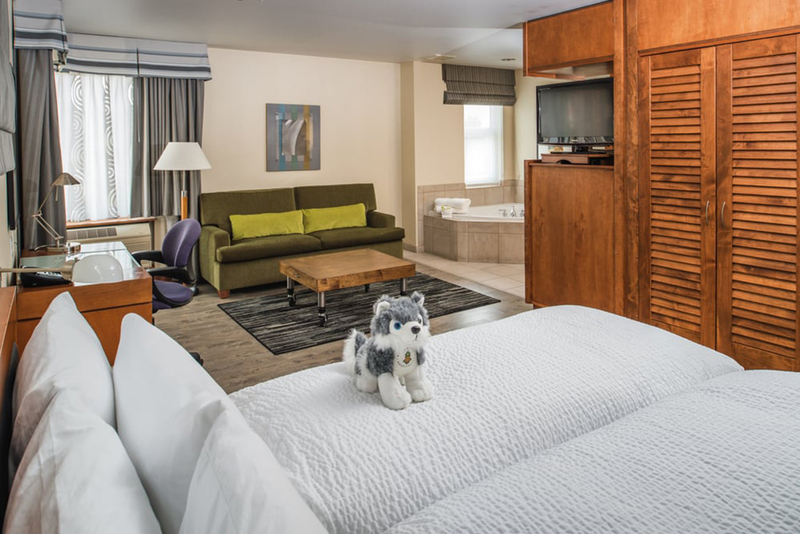 Located in the former Alaska Gold Standard Mining building, erected in 1901, the renovated hotel is thoroughly modern, its 121 rooms featuring exposed brick and minimalist steel poster beds. An Amazon Echo Dot in each room will fetch you extra towels or recommend nearby activities, and there’s a complimentary wine hour in the lobby each afternoon at 5pm. Traveling with Fido? 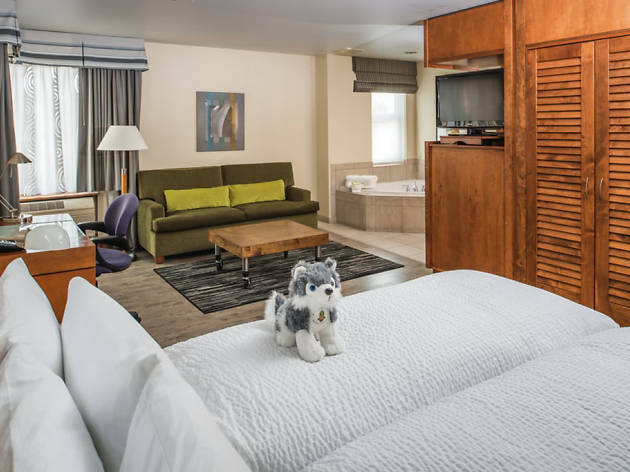 The Alexis is a pet-friendly hotel, and animals always stay for free. 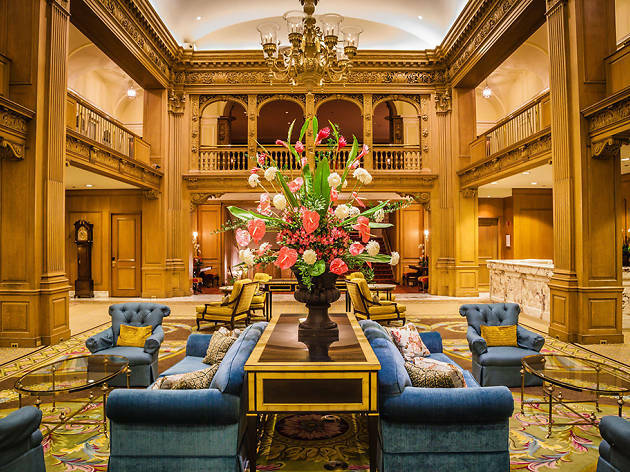 This luxurious hotel is one of Seattle’s most spacious, with 457 guest rooms, 25,000 square feet of meeting space and a huge fitness center equipped with a steam room. 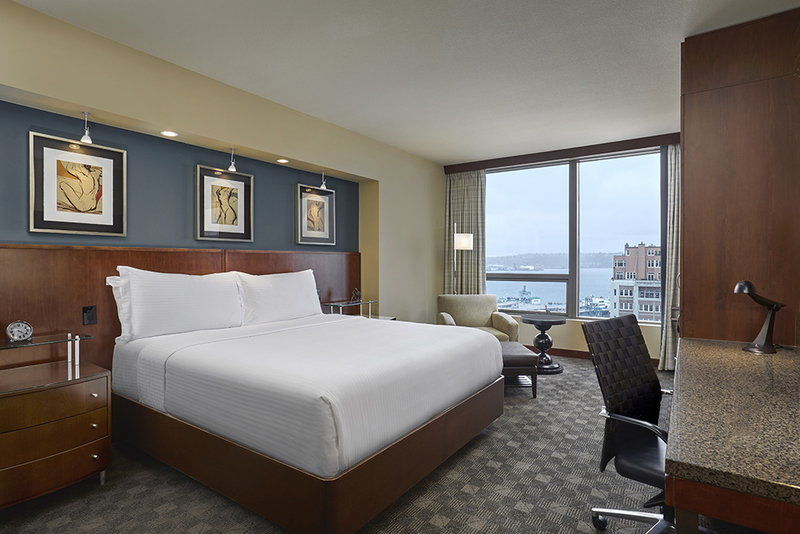 Unbeatable views of the Olympic and Cascade mountain ranges, and easy access to downtown attractions like the aquarium, make the hotel’s Pine Street location a perfect home base. 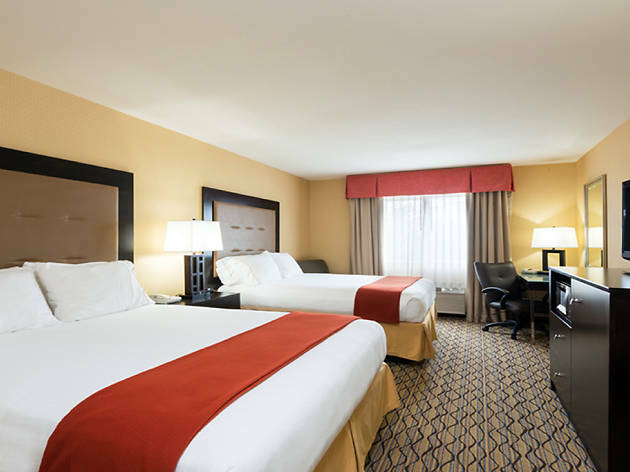 Rooms feature comfortable contemporary decor and oversized bathrooms with both a shower and a soaking tub, electronic blackout drapes and a 32-inch flatscreen television. And while that might make you want to never leave your overnight domicile, visit the Ruth Chris’ Steak House downstairs for a juicy steak and a perfectly chilled martini. 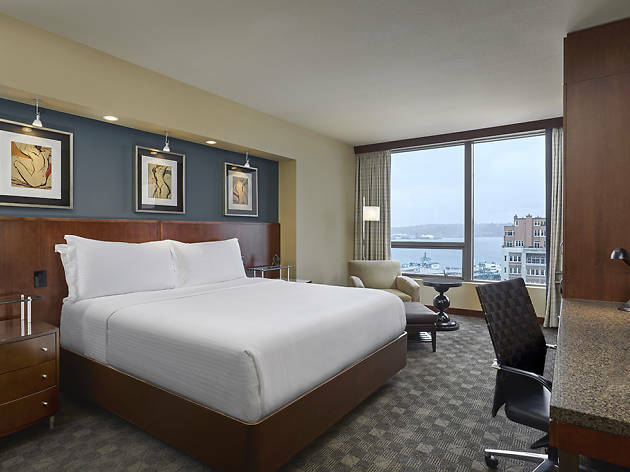 This waterfront Loews Hotels property is a perennial favorite for Seattle visitors, located in the heart of downtown and staffed by friendly, attentive personnel. 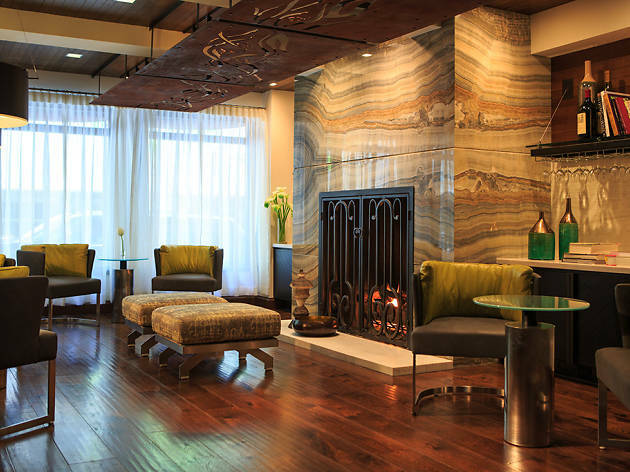 Complimentary flutes of sparkling wine upon check-in set the tone for a comfy stay in one of Hotel 1000’s 120 guest rooms, each accentuated with hand-blown glass artwork by J.P. Canlis, Turkish terry cloth towels and Keurig coffeemakers. 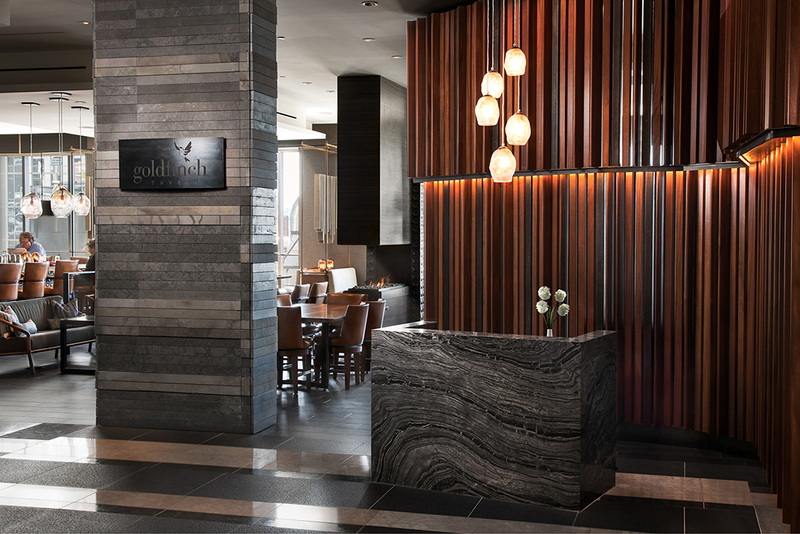 In the evening, stop by BOKA bar until 6pm for great happy-hour drink and snack specials. 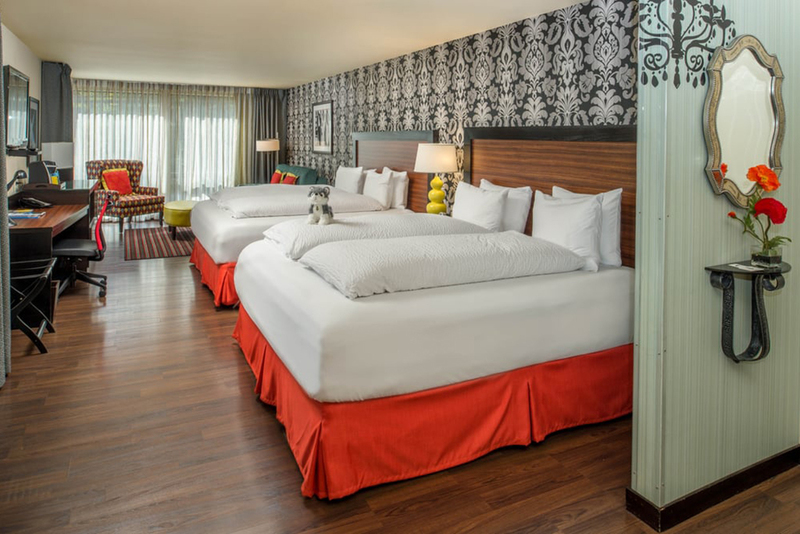 This fun hotel is one of downtown Seattle’s funkier options; it’s operated by Pineapple Hospitality, a chain of reasonably priced boutique hotels distinguished by colorful art and design, and silly touches like stuffed animals on the beds. 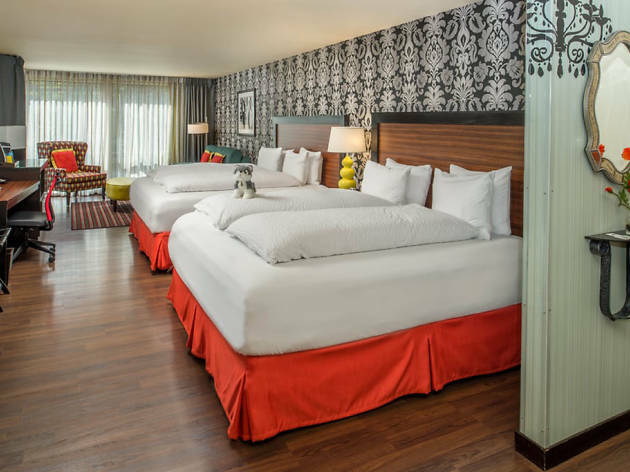 Accented with bright pops of color in both the hotel’s common spaces and its guest rooms, there’s also an indoor pool (filled with inflatable floating flamingos, of course), an on-site espresso bar and complimentary bicycle rental. Slippers provided for your stay can go home with you free of charge and a select number of rooms offer accommodations for up to two dogs. 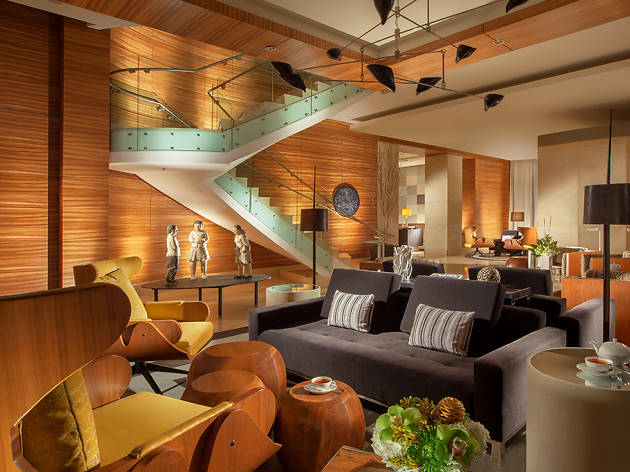 Another winner from Kimpton, this downtown boutique hotel—despite the descriptor in its moniker—is all sleek and contemporary style, from the banquettes in the lobby to the coffee tables in the guest rooms. 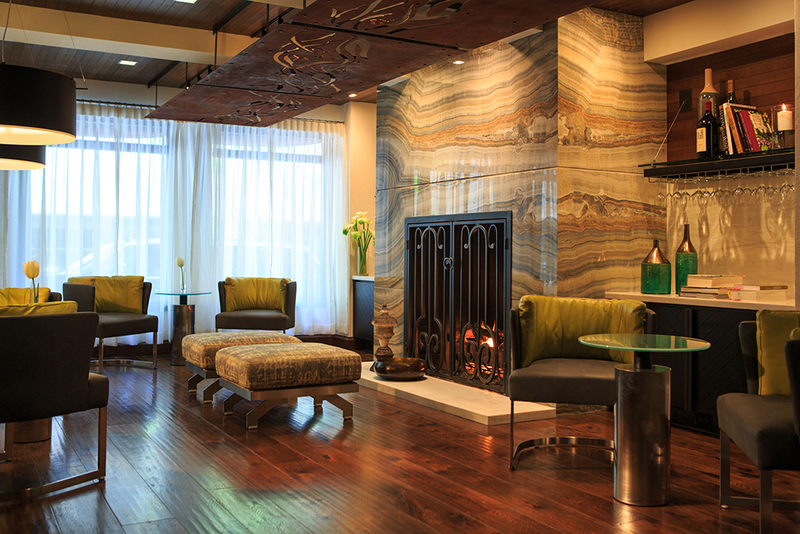 Inspired by Washington wine country, accommodations feature jewel-toned fabrics and hand-dyed, recycled cork art pieces. Amenities include a nightly wine hour with generous pours, in-room yoga mats, a modern fitness center, complimentary bike rental and lush Kerstin Florian soaps and lotions in the bathroom. 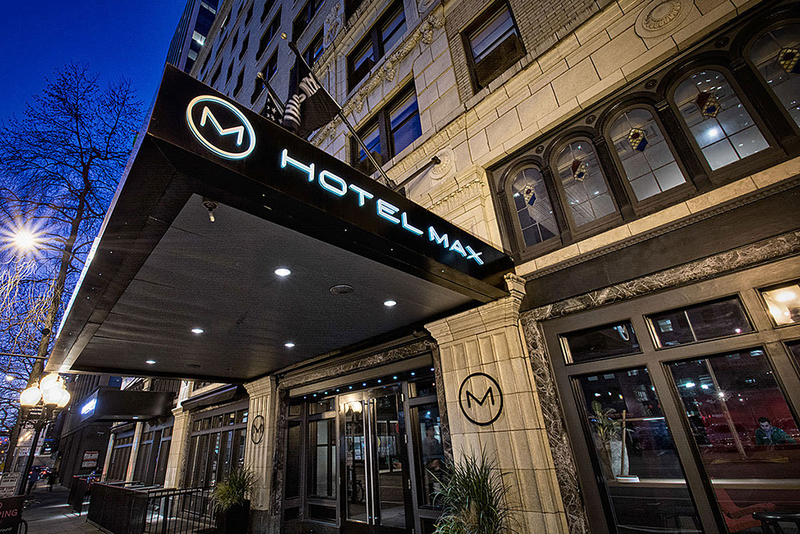 Located in Belltown, a hip Seattle neighborhood dotted with boutiques, art galleries and restaurants, this bright, stylish luxury hotel is one of the city’s coolest and comfiest stays: Guest rooms feature Hypnos beds with 360-thread count Egyptian linen, bathrooms with a shower and a separate soaking tub, Keurig coffeemakers and 42-inch flatscreen televisions. A free shuttle service will drop you off or pick you up anywhere within a two-mile radius of the hotel, and concierge is happy to set you up with local art and culinary tours. This dramatic downtown hotel makes quite the impression viewed from outside, its floor-to-ceiling windows creating a shimmering cube on Stewart Street. 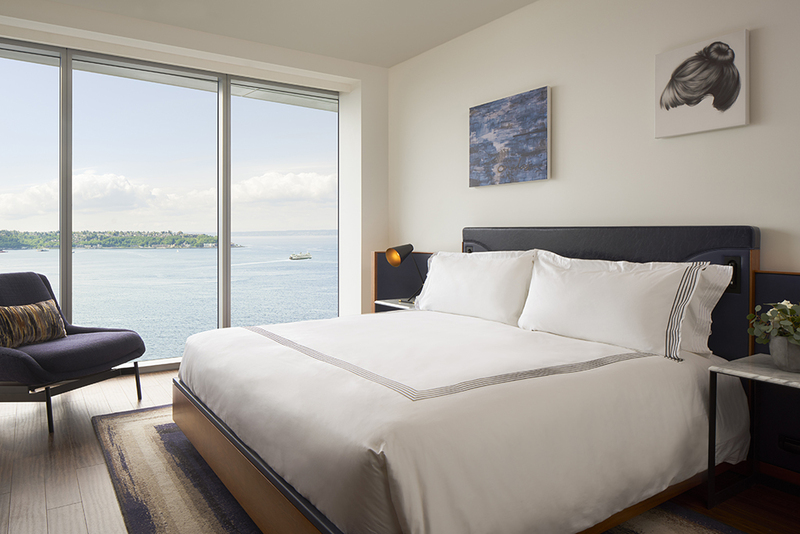 Depending on your room, those windows provide stunning views onto the Puget Sound. And if your room is tucked away, take in the same gorgeous view from the hotel's rooftop bar, the Nest. Considered one of the best in the city thanks to a vibrant atmosphere, house-bottled cocktails and tasty snacks. The comfortable guest rooms boast a warm mid-century style and offer 400-count Sferra linens, rain showers and oversized signature robes. 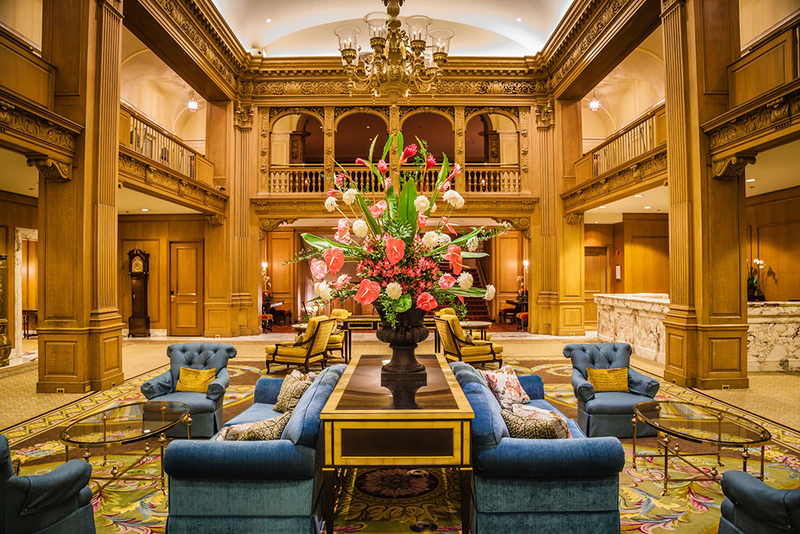 The Fairmont has served as a home away from home for guests since 1924. Don't let that dissuade you, though. After a recent renovation, the property sparkles with modern touches. Think a 10,800-square-foot health club with pool and a European-style spa. Still, the hotel’s history is one of its most attractive features, as seen in its iconic lobby staircase and in its handsome 1930s oyster bar, Shuckers. Breakfast or afternoon tea in the Georgian Room, while a splurge, is worth it to enjoy the light flooding in from floor-to-ceiling windows, and to sit under the dramatic, sparkling chandeliers. 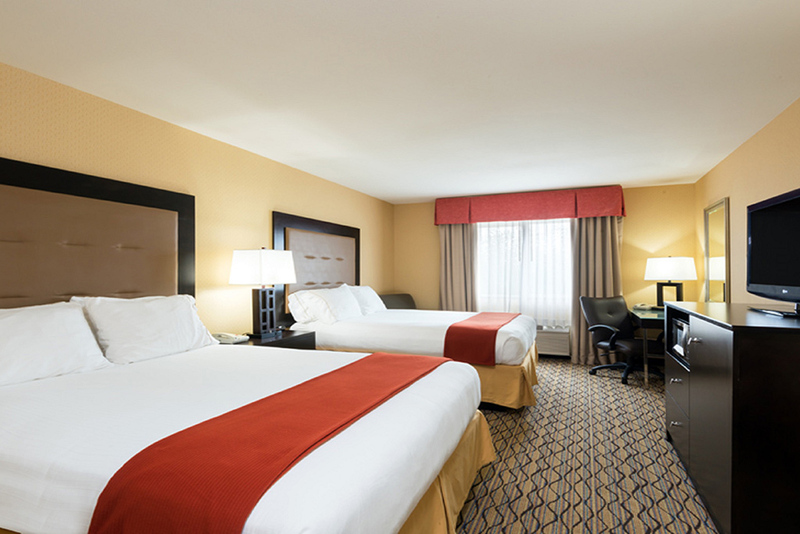 This fun hotel, another Staypineapple property, is even more reasonably priced due to its location outside of downtown Seattle in the University District—a perfect spot for guests visiting University of Washington students or faculty. 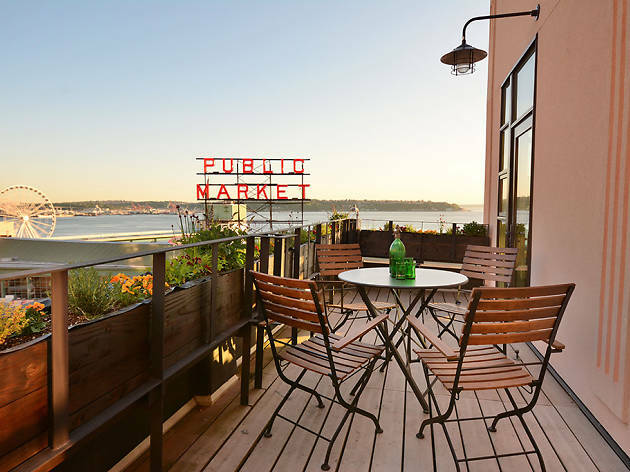 For those whose mission is purely sightseeing, the hotel offers free shuttle service to and from downtown sites like the Space Needle and Pike Place Market as well as free bike rentals. 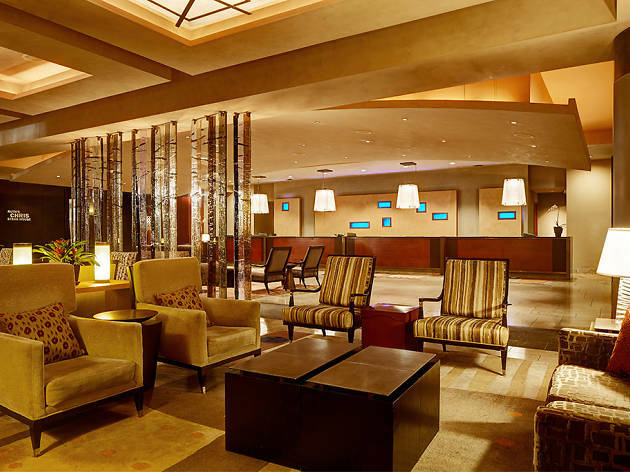 Or just chill out on the bright, spacious hotel property, particularly in the afternoons when free Dillanos coffee and the hotel’s signature pineapple cupcakes are served in the lobby. Guests looking to work up a sweat have the option of visiting the hotel fitness center or, during the warm months, taking a dip in the pool located at a sister property a few blocks away. Hark, Nirvana superfans! 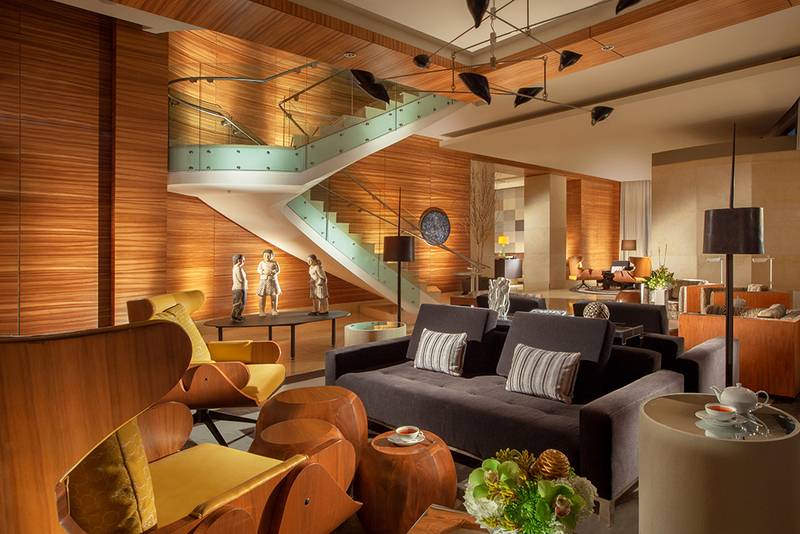 This boutique hotel caters to the “Keep Seattle Weird” crowd, with a world-class art collection in the lobby, guestrooms equipped with turntables and Sub Pop-curated vinyl, and a complimentary craft-beer happy-hour each evening from 5:30 to 6:30pm. Upon check-in, scope out works by Andy Warhol, Ed Ruscha and Ivan Navarro, and as you head to one of the hotel’s 163 rooms, admire oversized prints from local Seattle photographers. 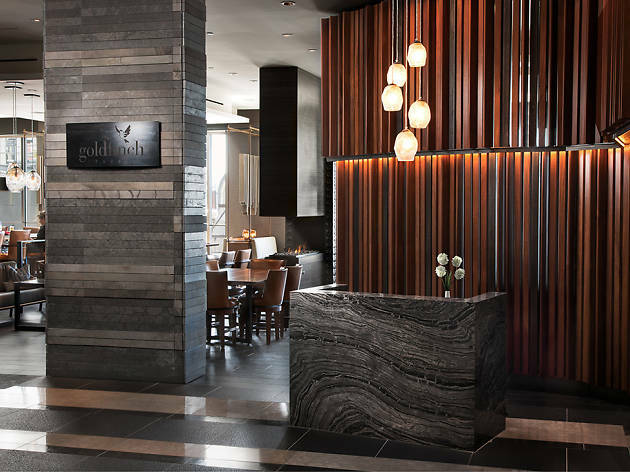 Hit up the 24-hour fitness center to work up an appetite for dinner at the hotel’s restaurant, Miller’s Guild, favored by Seattleites for its excellent wood-fired dry-aged beef and local seafood.